I think Chess helps both to build the player’s character but also shows certain peculiarities of it. (Then you can notice it, maintain or try to change those findings…).In my case, for instance, Chess was a powerful tool which helped me to lose a pathological fear to taking decisions (for fear of making mistakes, accept the responsibility of them, etc.). It also helped me to avoid that common mistake in many people which consists of always looking for someone to blame for everything which happens instead of dealing with the mistakes or wrongs, and putting the effort not on finding a real or imaginary culprit but on dealing with the error straightaway. Another point worth mentioning is to accept that everything in Chess and life is relative. There are no absolute truths, universal patterns of behaviour, hidden or occult systems to get everything at will. Chess taught me that there are many logical things and they can be good guidelines but also that there are many illogical, contradictory, absurd even apparently impossible things, situations which, nevertheless, can also take place. And the latter can be wonderful grounds to learn something new outside our old patterns . And so in the same way we must accept that there are as many ideas or opinions as people in the world, a Tal or a Shirov coexist with a Petrosian and a Karpov. 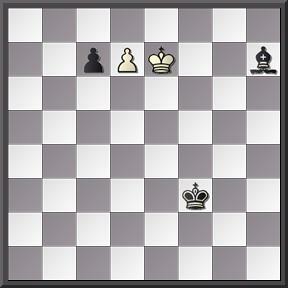 In Chess, as in life, the sum of the parts is always greater to the whole itself… Contradictory? Yes. Wonderful? Again, yeah. Another thing I have realized with the passing of time is that that old way of classifying chessplayers into “positional” or “attacking” ones may be helpful to a certain extent, but it can become too restrictive when not directly wrong. Take Fischer for instance: is he an attacking player? Yes, but not like Tal, so… Is he a positional player? Yes, but not like Petrosian or Karpov, so… Nevertheless, Karpov and Fischer shared their admiration for the same player: Capablanca. And this explains why those super GMs always reject being ascribed to a certain style. Karpov reacted with dislike when somebody asked him about what his Chess style was like: “Chess style?.- I don’t have a Chess style”. 2.- Saritchev brothers 1928. 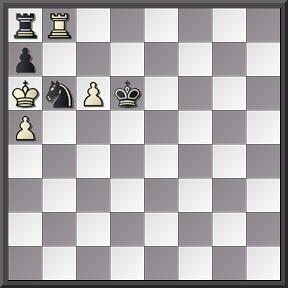 White moves and manages to draw. 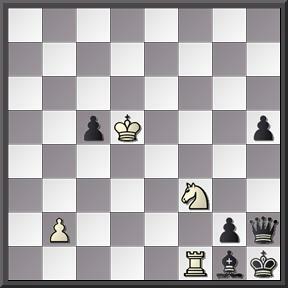 A Kasparov’s favourite -I have read somewhere-. 3.- Gurgenidze & Mitrofanov, 1928. 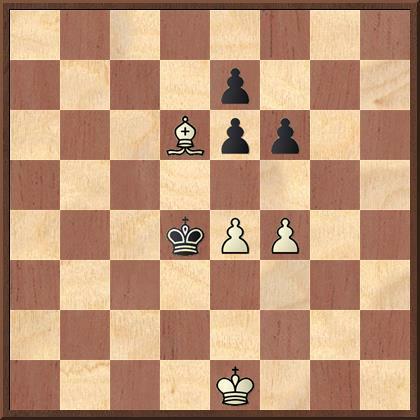 White to move and wins. Difficult but beautiful. Well, put the position on your chessboard and try to find the first move. Look it up and play the first correct one by White and Black’s reply. Keep on doing so with the rest of moves . Good luck! 2.- 1. Rc8! b5 2. Rd7! b4 3. Rd6! Bf5 4. Ke5! Bc8 5. Kd4 Ba6 6. c8Q Bxc8 7. Kc4 It is a draw. 3.- 1. Rb1 c4 2. Kc6 h4 3. Kb7 h3 4. Ka8 c3 5. bc3 Qb8 6. Rb8 h2 7. Rh8!